And…then there was the FLU! Whoa is me! This has been one for the books, hasn’t it?! When I realized I hadn’t blogged since December 1, I decided I had better get on the ball! I do hope you are on the sunny side of the flu as well! This year has been zooming by. We had the added bonus of a week off of school for ice and snow the third week of January, then a random day since for more ice! Anyone ready for Spring? It was also brought to my attention we will be testing our littles in just a few weeks. The crunch is on! Here is how I am helping my kinders celebrate Valentine Week while maintaining the standards we need to learn. Organizing the following is key! With little effort students will be happy and busy learning: sanity saved! we have a variety of materials available, including alphabet cutters for playdough sight words. I consider this an important kinesthetic writing center. Some of my students are in need of muscle building activities to improve letter formation. This fits the need we have, and it is fun! This center is an easy setup. Just place cutters and play-doh along with sight word cards in a basket! Our word cards are valentine shaped paper in various colors. Who doesn’t like Letter Stamps? My kids are really into creating valentines for friends. 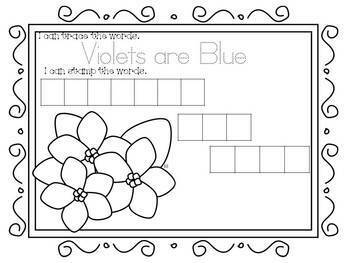 We stamp a theme related vocabulary word, trace and write out our valentines, then mail them to friends. 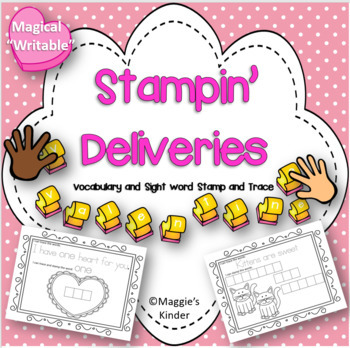 Include a variety of writing tools in this center along with lowercase letter stamps and pads. My “Stampin Deliveries” set is perfect for an easy to set up center! Students have access to various counting items like heart gems, piggies, cars, dinosaurs and other things to help them make groups to match numbers. We are working on addition skills, so joining and separating groups is really important now. 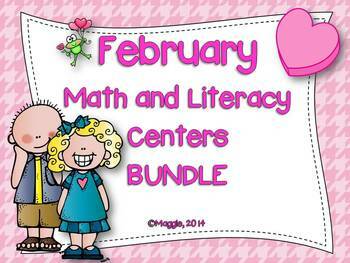 The literacy centers include valentines for friends with sight word practice. Students can trace in white crayon, then color wash over the top with pink or red. We call it Magic Writing! 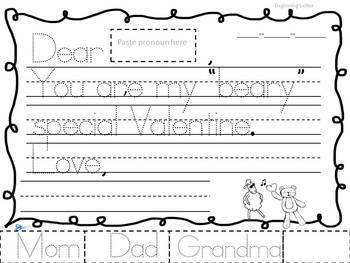 Other things we will do during the week will include charting and writing valentine words, writing about who we will give our valentines to, acting out number sentences with valentines, creating mix and fix sentences and reading valentine stories. Have a Happy Valentine Week!